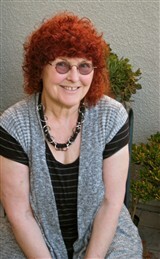 Ruth Edward Anderson is the owner of REArt. She specializes in making Fine Art in painting, sculpting, creative photography and digital art. Ms. Anderson paints with oils and acrylics, she makes Recycled Art that includes the use of bones, skulls, papers, wires, shed snake skin, wish bones, watch parts and metal. Ms. Anderson’s 2D art is on canvas or is stand alone. She makes sculptures using the same type of recycled materials, as well as sculpting in the traditional clay. She takes Fine Art Photographs and does creative Digital Art. She is also building a large file of photographs of whales, dolphins & other sea mammals. Ms. Anderson was a partner in the Esbin-Anderson Photography studio in New York City for more than 20 years, they did photography for book and insurance companies and private individuals. They specialized in producing photos for the Stock Photography Industry and had eight Stock Photography Agencies representing them internationally. 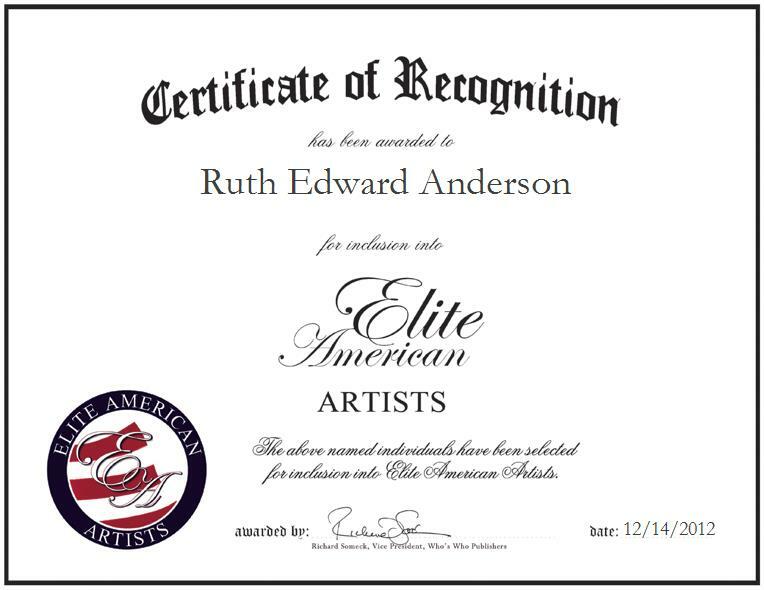 Ruth Anderson was originally selected for inclusion in EliteAMERICAN Artists in December 2012. We are proud to be featuring Ms. Anderson again in EliteAMERICAN Artists for 2013/2014.